This woman has no clue of the magnitude of the wrong she did. She's all about herself and her own self aggrandizement. Fox News reports "I'm a rock star now." 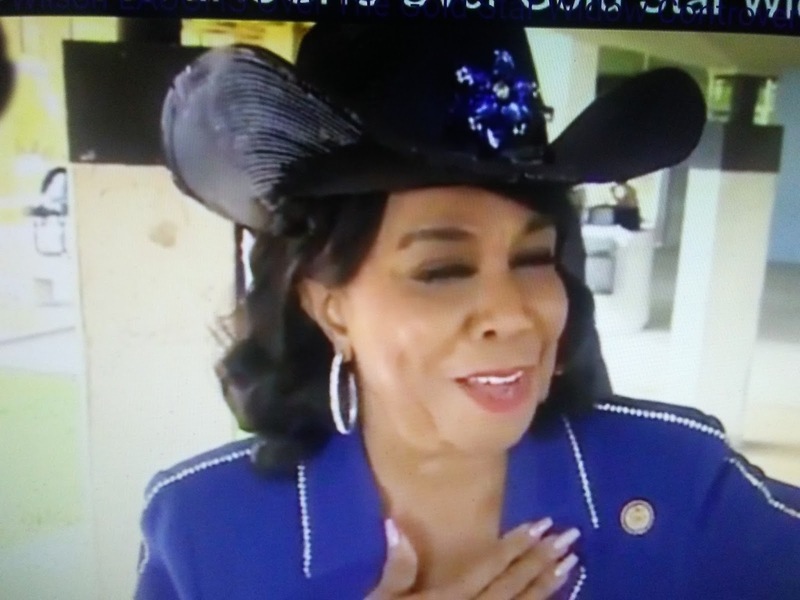 That's how a Florida Democrat has reacted to her recent notoriety after becoming tangled in a controversy over her account of President Donald Trump's condolence phone call to a U.S. Army widow. "You mean to tell me that I've become so important that the White House is following me and my words?" U.S. Rep. Frederica Wilson asked reporters Thursday. "This is amazing. That's amazing. I'll have to tell my kids that I'm a rock star now." Later Thursday, President Trump accused Wilson of lying in her account of the phone call between Trump and the widow of a U.S. service member who was recently killed in Africa. The same tweet also asserts that news organizations have been “going crazy” with U.S. Rep. Frederica Wilson’s version of the story. What a wackadoodle! It is totally disgusting what this Florida Rep is doing. Since FL voted for Trump, I expect her to be voted out when she runs again. Honest to goodness, these people are vile and evil.